Our Story – Cacciatore Fine Wines & Olive Oil Corp. Style – Our wines are conceived in the vineyards by stewarding the course of nature, while in the cellar we enhance the “Natural Character” of each variety by combining the “old world” tradition with the latest technology. 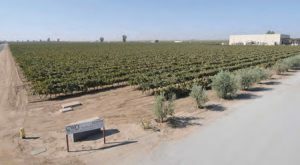 Vineyards – Located in Pixley, in the heart of the San Joaquin Valley. 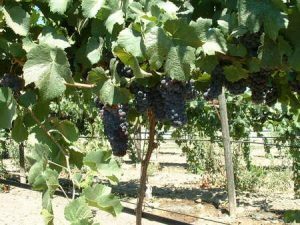 The Hesperia sandy-loam soil has good drainage properties, peculiar to grow quality grapes. Cold in the winter and hot in the summer, the climate of the region, combined with the proper canopy management practices, allows us to deliver healthy and ripe fruit to our expert winemaker. Winery – Surrounded by the estate Vineyard, the traditional winery was uniquely conceived and built to accommodate a very gentle processing method for all quantities, from very small batches of highly specialized grape varieties to the largest tonnages. 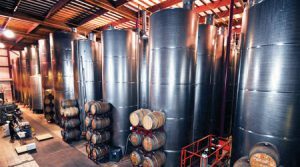 The 20,000 sq ft indoor cellar offers a unique look over the 100 stainless steel tanks and an open barrel room. Experience and Mission – Born and raised in Italy, Claudio Basei acquired his BS in Viticulture and Enology at Milan University and worked in several traditional regions such as Alba (Piedmont) Bolgheri (Tuscany), Franciacorta (Lombardy). Since 1999 he has been consulting for CWO until 2008 when he moved to bring to CWO his know-how and guide. 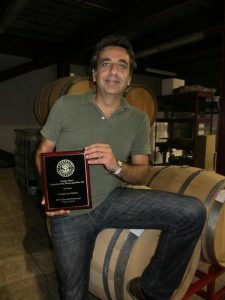 CWO is now a top leading winery in the valley which supply bulk wine to the North Coast and Central Coast areas, specializes in private label programs and collects awards for our brands, in particular with La Gondola Reserve awarded for consecutive years with bronze and silver medals at the SF Int’l Wine Competition. His title with the company is currently Winemaker and General Manager.